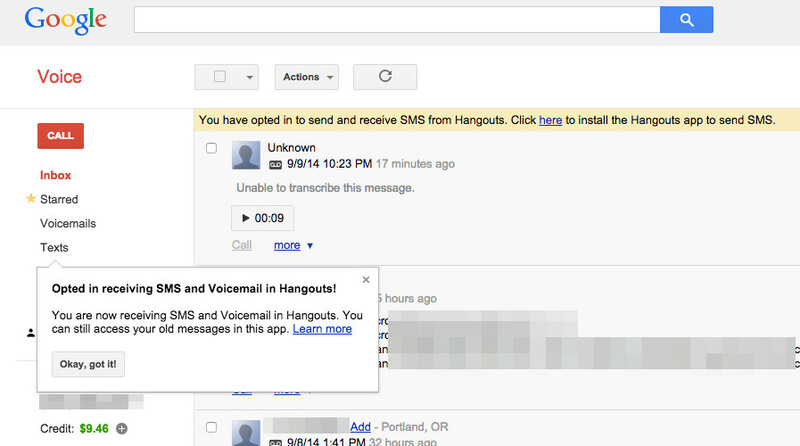 Did the Merging of Google Voice and Hangouts on Android Just Begin? Tough to tell exactly what’s going on at this specific moment in time, but a number of our readers (me included), are seeing a “Migrate Google Voice to Hangouts” message in Hangouts on Android. The box is a familiar prompt that was discovered as a debugging option a couple of months back, but at the time, it didn’t work. Tonight, it appears to be semi-working. Once I clicked “Turn it on!” and placed a call to myself to leave a voicemail through Google Voice, I did indeed receive a notification in Hangouts for that message from Google Voice. Unfortunately, the message came through as “Unable to transcribe message,” and is basically worthless. It’s almost as if a switch has been flipped, but maybe not fully flipped. Is the migration finally happening? Hit up the comments with your current situation, as in, if you use Google Voice. Update: Also received the prompt in the web Google Voice portal. It’s happening! Update 2: It seems beyond broken. Google Voice messages are certainly coming through Hangouts now, with “GV” attached to them, but the numbers aren’t being picked up in my contacts, and I also can’t reply to anyone. Update 3: It’s officially happening. All the details, including the .apk can be found here! 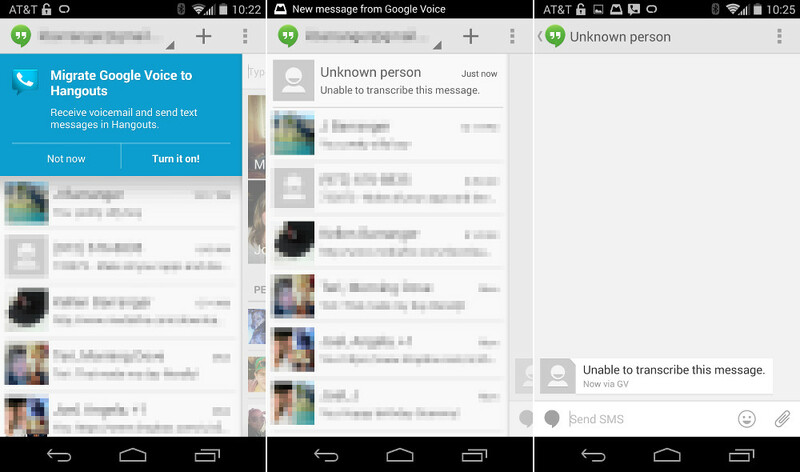 Update 4: Here is how to setup your voicemails to show in Hangouts and also not see double notifications. Cheers Anthony, Brett and Haley!